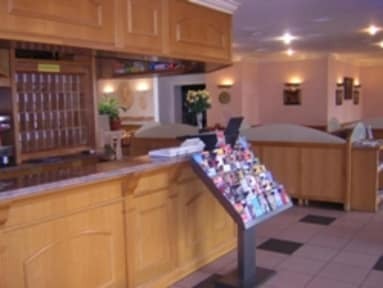 Hotel Briand, Paryż, Francja : Rezerwuj teraz! By our experience and our means, to bring you entire satisfaction by ensuring you a service of typical quality 3 stars in very good status. Choice of flexible rooms (Single, Double, Twin, Triple). Sound and thermic isolation, bath, shower, WC , television, hairdryer, office, telephone,alarm clock, Internet. Breakfast (Buffet) not included in the rates but is available for €10. Please note our triple room features a double and a single bed. 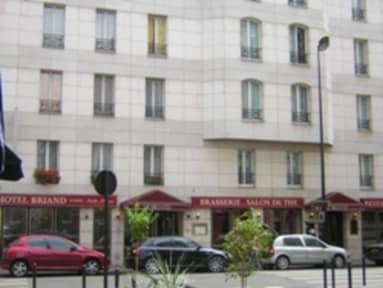 Please note we have a bike station (station de velib) just outside the hotel. There is car parking available for 23 euros a day. Please note : Visitors taxes of 1.50 euro per person per night and it is not included in the room price.